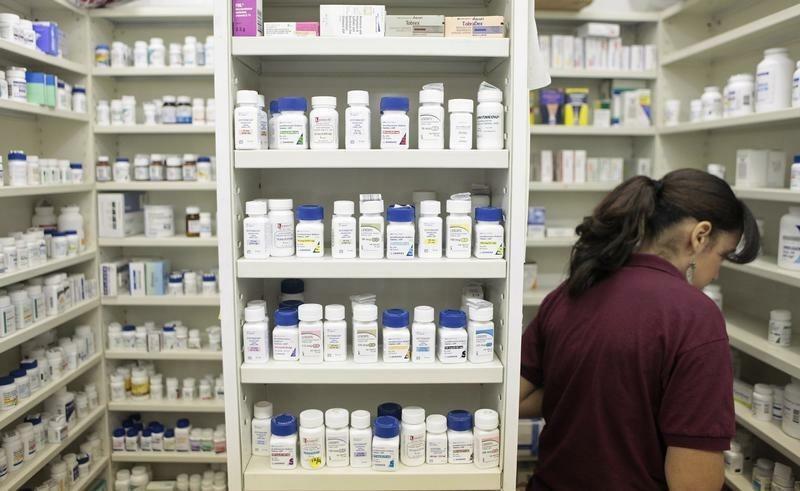 NEW YORK (Reuters) - Spending on prescription drugs is projected to have risen to $457 billion in 2015 and will likely continue to grow as a percentage of overall healthcare spending, a U.S. government health agency said on Tuesday. The agency also proposed a test program that would change the way that Medicare compensates doctors who administer drugs in their offices as a way to try to cut drug spending. It said that Medicare Part B generally pays physicians the average sales price of a drug, plus 6 percent. The new model would test a payment of 2.5 percent plus a flat fee payment of $16.80 per drug per day. The 2015 increase is an increase of about 8 percent from 2014's prescription drug spending, which is also an estimated figure, the government agency said. Prescription drug spending is estimated to have accounted for 16.7 percent of $2.729 trillion spent on healthcare last year, the U.S. Department of Health and Human Services' Office of the Assistant Secretary for Planning and Evaluation said in a report. An estimated $328 billion was spent on retail drugs, the report said. It also estimated that another $128 billion was spent on non-retail drugs, such as cancer treatments that are administered in a physician's office or hospital. The affordability of medicines has become an important issue for the 2016 presidential elections, and has become part of the campaign platforms of potential candidates Hillary Clinton and Donald Trump. The agency forecast that total drug spending will grow to $535 billion in 2018 and represent about 16.8 percent of all healthcare spending. The figures are based in part on National Health Expenditure Accounts estimates from the Centers for Medicaid and Medicare Services. These NHEA estimates represent a drug's net price after adjusting for rebates and discounts. It estimated the non-retail drug spending portion as a ratio of retail spending. The agency said that from 2010 to 2014, the spending increase was due to the following factors: 10 percent due to population growth, 30 percent due to the numbers of prescriptions per person increasing, 30 percent due to inflation and 30 percent due to price increases that were greater than inflation. The drug industry lobbying group, PhRMA, said in a statement that the report "ignores the tremendous value medicines provide to patients including many that offer improved treatment options for conditions that previously had few or no options such as cancer and multiple sclerosis."